Candlestands and oil lamps that are identifiably northern Indian are relatively uncommon. 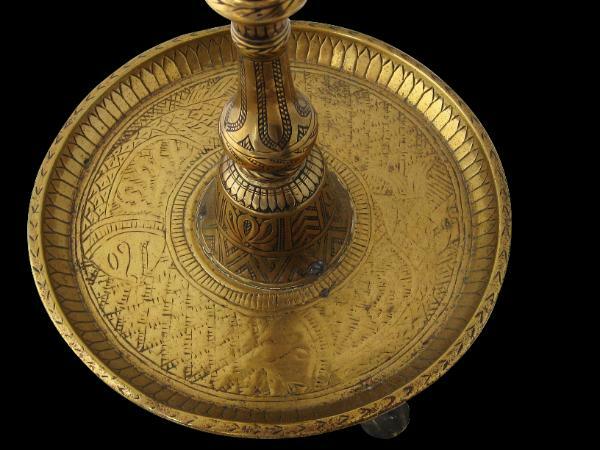 This example in fine patinated brass is incised all over with lotus petal borders, Islamic-inspired geometric designs and in the base of the large, circular drip tray, two large fish. The use of the paired fish motif possibly suggests a Lucknow provenance where such a motif was the symbol of the local royal house of Oudh. 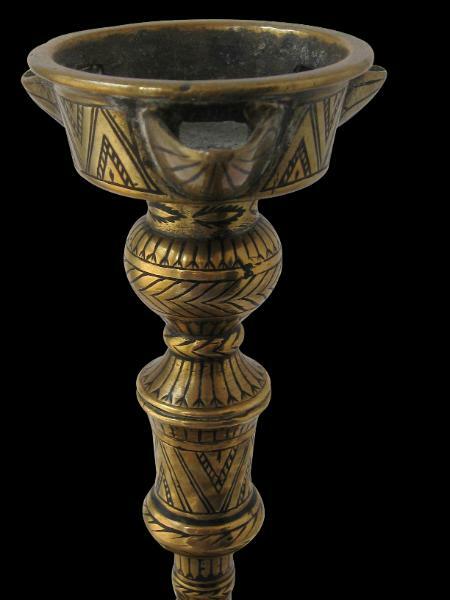 The lamp stands on three short feet, has an elegant baluster style stem that rises from the prominent, lipped drip tray, and which leads to an oil receptacle from which three wick holders emerge. There is sufficient wear to the stand from handling to suggest that an eighteenth century attribution is not unreasonable. Overall, this is a decorative item with a soft, buttery patina. 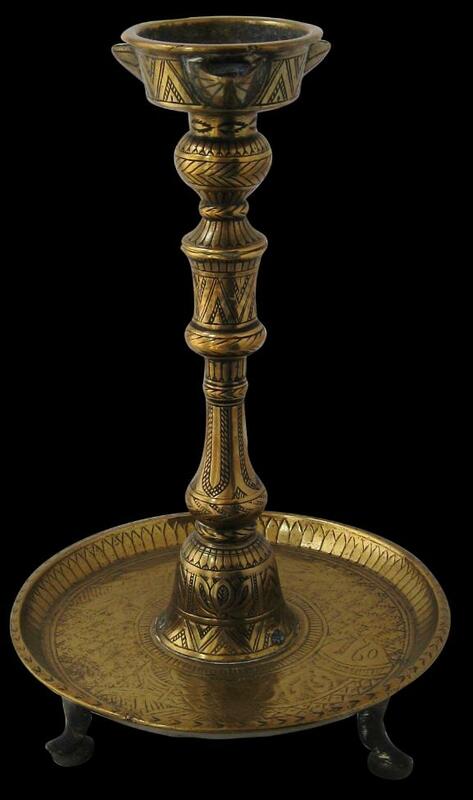 for another example of an Indian lamp stand.